and staying with the DeWaard family just outside of Townsend. They have a large property on which we can tent and they are willing to help us with our adventures. As a result, the cost of the trip is very manageble. Costs would include driving, food and attractions. Currtently we are looking at a period in the ballpark of July 10 - 20. The date will become more firm once people's schedules have settled down more in the new year. BOYS WILL REQUIRE PASSPORTS AND PROPER INTERNATIONAL MEDICAL INSURANCE. (This would be a maximum. Staying with our hosts, we would be able to buy, store and prepare food much of the time, which would reduce the cost. 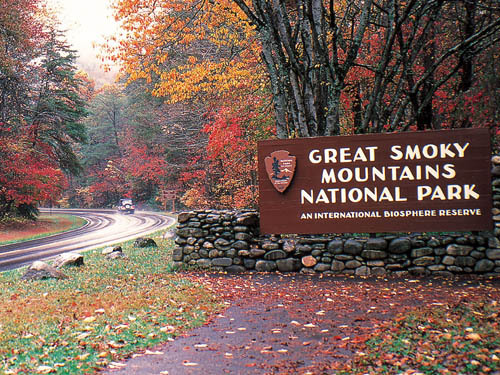 We will spend a large amount of our time hiking the magnificent trails in the park. 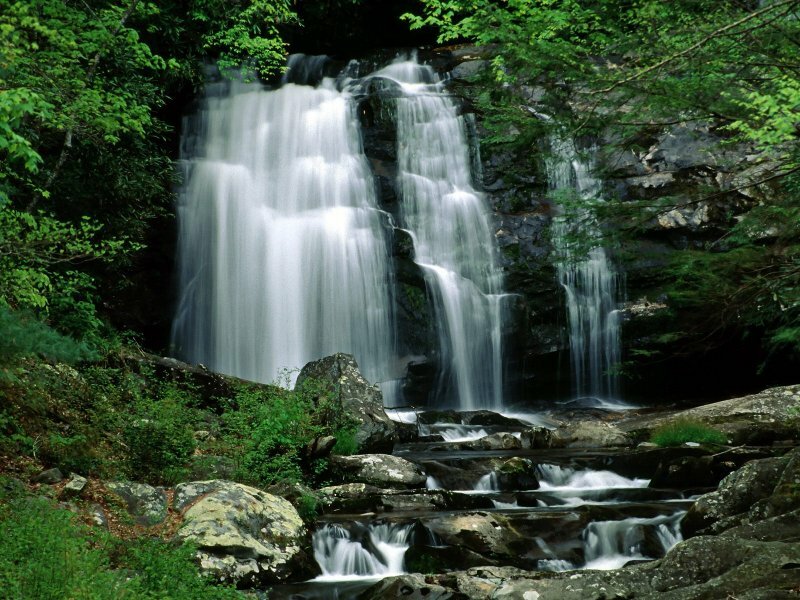 There are several spectacular waterfals that make great destinations. 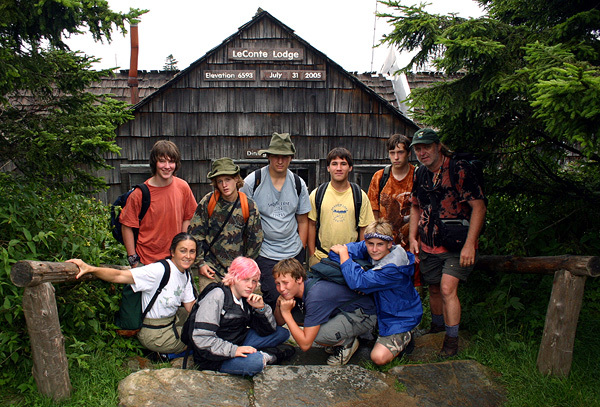 The Appalacian Trail goes to the top of Mt. LeCompt after a 3 000 ft ascent. 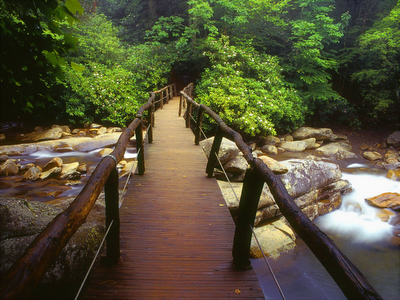 Countless trails, creeks and pools make this a real natural paradise. 2. Just south of the park is Cherkee Native Village. In this park is an amazing reconstruction of a Cherkee Native settlement along with the display of many skills and crafts. 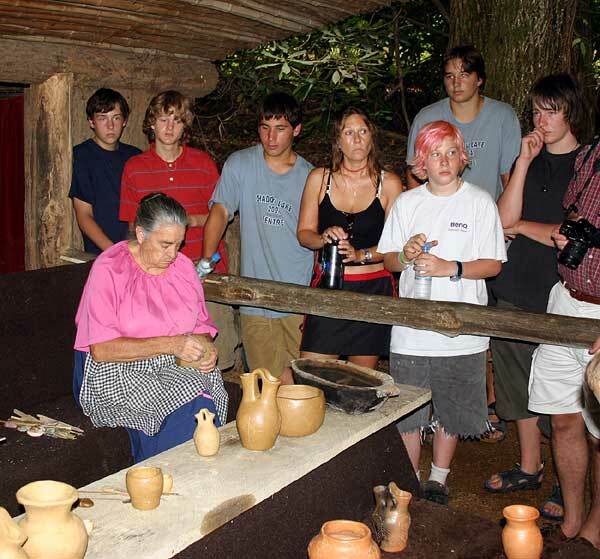 In the evening we would attend a major open-air dramatic production called "Unto These Hills" which is the historical story of the Cherokee people. 3. 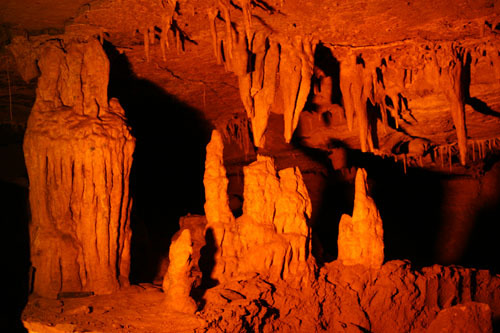 This part of Tennesee is famous for its underground cave systems. We would have opportunity to take a guided tour of one of these spectacular caves. 4. 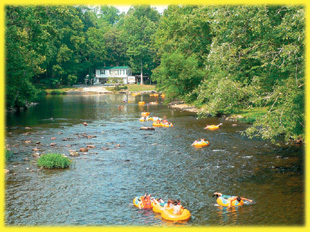 One of the creeks exiting the park and flowing through Townsend is perfect for tubing through moderate rapids. We have to opportunity to spend a day of rafting on this river. This area gets pretty hot at the time of year we are visiting. 5. Pigeon Forge is a nearby town catering to all the things tourists are looking for, from go cards and tacky shopping to swimming pools and mechanical bull riding. 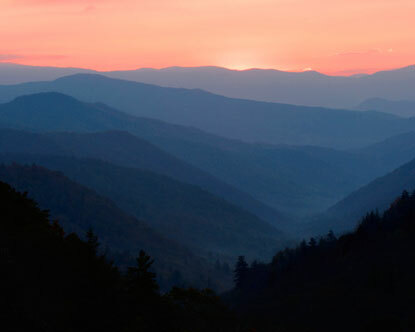 We usually spend one evening in town enjoying this diversion from the more natural activities that dominate the trip. Also in town is the World's Biggest Knife Store, which is great to explore and offeres some appealing deals.